Happy Birthday, Scorpio! 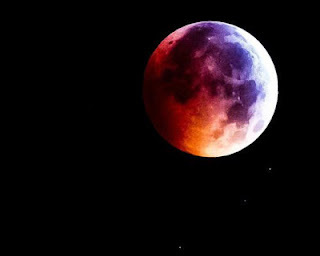 November is going to be a memorable month as there will be two eclipses (A solar eclipse and new moon in your sign, Scorpio and a lunar eclipse and full moon in Gemini, your 8th House). Additionally, the planet of Communications (Mercury) retrogrades in Sagittarius (Your 2nd House of finance). November will be a month to remember for all signs, so let's take a look and see what is in store for you personally, Scorpio. The planet of love, Venus, begins the month in Libra, your solar 12nd House of secrets, psychology, places of confinement, isolation and the intense need for some down time under Venus in Libra can actually boost your untapped creative potential. Venus transits your sign on 11/21 - 12/15, Scorpio. As the month begins, Scorpio could find themselves delving in their conscious and subconscious mind and gain a greater insight into their self-awareness, personal motivations and how they conduct themselves in personal relationships of every kind. The past could be viewed in a brand new perspective this month as you begin to emerge from isolation and you might appear physically different after Venus enters your 1st House of physical appearance on 11/21. It's time to celebrate anytime Venus enters your 1st House, Scorpio. This IS the time to get a makeover, purchase new clothes or buy items that you can afford and or just can't live without. Just make sure you wait until Mercury resumes direct after 11/26, Scorpio. You should also have a better idea of where you stand financially when Mercury enters Capricorn. If anyone can master the art of patience, it's you, Scorpio. Mercury (Communications) will retrograde between 11/6 -11/26 in the sign of Sagittarius and your 2nd House of assets. This is the last Mercury retrograde of 2012, Scorpio. Try to get important details out of the way before Mercury retrogrades. In other words: Take advantage of the first 6 days of November to get your personal and professional relationships exactly where you want them, Scorpio. Whenever Mercury retrogrades, it always a great rule to re-think, re-do, revisit, rewrite or reorganize something in your life.This Mercury retrograde could put a damper on your financial life, Scorpio. You might be occurring a change in salary at your place of employment or you could lose something valuable, such as a prized possession. Regardless of what transpires, you become cautious in spending, one way or another, during this Mercury retrograde. Mars (Sexuality/Energy) transits Sagittarius until 11/16. Your energy levels will be focused strongly on finances, personal possessions and assets during this transit, Scorpio. Mars is your co-ruler and Sagittarius rules travel and the airline industry. You possess a strong desire to skip town or take off for a vacation or travel during this transit. If so, schedule your plans on either side of the Mercury retrograde. If this is not possible, double check your travel schedules and allow for some delays. It's not that you can't travel, Scorpio. It just is a good idea to expect or allow some delays, miscommunications or frustrations with your best laid plans during any Mercury retrograde. Travel on either side of the dates of 11/6 - 11/26 for ideal results and less hassles, if you must, Scorpio. Mars and Mercury in Sagittarius could make you more feisty and opinionated when dealing with or speaking about finances, personal belongings and paying bills. Tone down any hint of aggression between 11/6 - 11/16 as others could view this type of behavior as aggressive. A Solar Eclipse and New Moon occur in your 1st House, Scorpio on 11/13. This eclipse will transit your 1st House. Something of a personal nature could happen that could have a profound impact on you. You could be ending one phase of your life in order to begin another, for the better. To learn more about how eclipses can affect you, always look to the House that they fall in and the properties/areas of that House. In Astrology, eclipses signal beginnings and endings. The 1st House represents fresh starts, your physical appearance and for Scorpio, some fresh and inspiring good news! There could be some serious offers for personal and professional beginnings that take you by surprise, Scorpio. On 11/28, a Full Moon and a Lunar eclipse will fall in Gemini and your 8th House. This eclipse brings news of relief when it comes to the financial worries of the earlier part of the month. This eclipse can bring awareness to areas such as insurance, taxes and mortgages. Look to the 8th House to see other ways this could potentially play out. Either way, both eclipses will bring surprising news this month that could change everything. The signs of Aries, Taurus and a Libra will play key roles in your life this month. Another Scorpio will be influential where your career and serious relationships are involved.